Looking for a quality point and shoot for cheap? 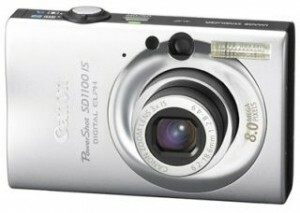 The Canon SD1100 IS is a great little 8 megapixel digital camera. It little size and lightweight which is perfect for traveler. Or if you are looking for an inexpensive digital camera that takes quality photos, you won’t be disappointed with the Canon SD1100 IS. I highly recommend this unit. Abe’s of Maine has this digital camera for a good price. This entry was posted in Digital Camera, Uncategorized and tagged Canon SD1100IS, Deal on January 31, 2009 by admin.